Just few minutes from the city centre this gorgeous Villa offers several combinations of inside and outdoor spaces. 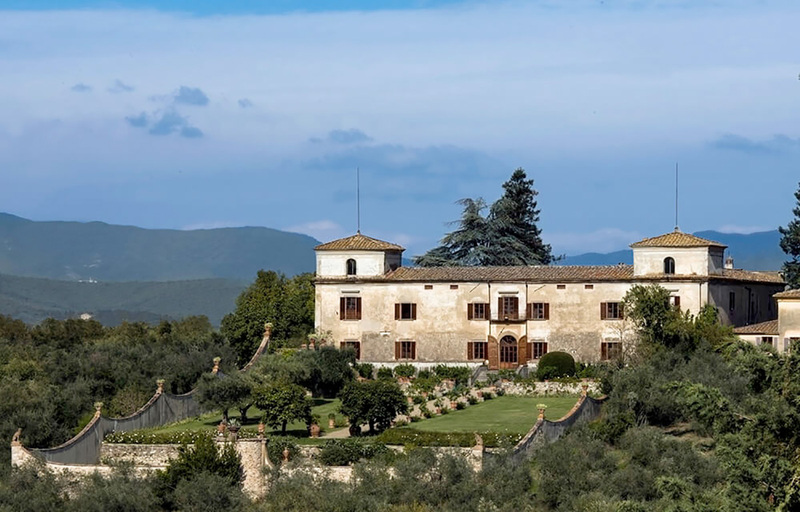 A large Garden with a fantastic view over the Tuscan Hills, An amazing Internal Luxurious Room. A long Terrace where you can hold Ceremonies, aperitifs and take great pictures of Florence. A Medicean room where you feel the authentic atmosphere of a centuries-old history. All these spaces can be set at your convenience either for Cocktails or Formal Dinners, depending on your Wedding Style and number of guests. We will take care of the whole organization, do not worry! Please, bear in mind the Estate offers a lovely Courtyard that could be a breakout space for your guests to relax during the Reception or a real environment for an Intimate Dinners or Cocktail Buffet. ACCOMODATION: 10 people at the 5 Luxurious Villa Rooms and other very Elegant Apartments few minutes walk for another 22-24 people. So, over 30 guests at the Estate. Other beautiful Hotels in the surroundings.